IMPORTANT – READ CAREFULLY: This Software End User License Agreement, EULA is a legal document between the licensee (either an individual or entity) and 3D Immersive Collaboration Consulting, LLC (herein known as 3D ICC). Please read this License carefully before continuing registration, by clicking the “I ACCEPT” button or otherwise accepting this License. Additionally, properly licensed end users of 3D ICC’s Terf® product agree to this EULA simply by that act of using the system’s services. This software product is protected by Federal Copyright Law. 3D ICC retains the title to and ownership of this software product. 3D ICC retains all trademark, patent, copyright, intellectual property rights to this software product, Terf®, Teleplace™, Qwaq™ or OpenQwaq™. (c) Copyright 2010-2018 3D Immersive Collaboration Consulting, LLC. All rights reserved. LICENSE – The licensee is defined as the individual or individual working for or with an organization or company who paid for the license of this software product. 3D ICC hereby grants the licensee a limited, non-exclusive non-transferable (except as authorized under the licensing agreement made with the license purchaser of this software product (the licensing agreement)) license authorizing the licensee to use this software product on one computer at a time. Please contact 3D ICC or your organization’s licensing authority if you require additional licenses. Use of this software product by more than one individual or by anyone other than the licensee terminates, without notification, this License and the right to use this software product. You are granted a limited license to use this software product only in accordance with the licensing agreement. You hereby grant 3D ICC a non-exclusive, perpetual, royalty-free license to use, modify and sublicense for commercial purposes any 2 or 3D objects incorporated into or used in connection with 3D ICC’s products and services, including the look and feel and the right to create derivative works thereof. 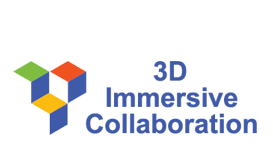 3D ICC hereby acknowledges and agrees that such license shall not extend to your marks, customer logos, or other identifiable/recognizable markings, or proprietary business content, all of which shall be removed by 3D ICC prior to any exercise of such license. 3D ICC will not be under any obligation to control or restritct other customers’s artifacts to ensure they are not creating artifacts with a similar or exact likeness to those created by you. Your use of this software product indicates you accept these terms and conditions. If you do not accept these terms, uninstall the software, erase the software from any and all storage devices upon which it may have been installed and return the medium, documentation and any other associated materials provided with this software product. YOU MAY NOT: distribute, rent, sub-license, loan or otherwise make available to others the software or documentation or other materials or copies thereof, except as expressly permitted in this License without prior written consent from 3D ICC. You are prohibited from : (a) copying any part of the Terf® code or documentation, including any 3rd party tools within the Terf® code base (client and/or servers) onto any public or distributed network (b) using the Terf® Software to operate in or as a time-sharing, outsourcing, service bureau, application service provider or managed service provider environment; (c) use the contained x264 Commercial Software as a standalone application or other than as integrated into Terf® under this license; (d) changing any proprietary rights notices which appear in Terf®; or (e) modifying the Terf® or its component SW such as 3rd party commercial software. In the case of an authorized transfer in accordance with the licensing agreement, the transferee must agree to be bound by the terms and conditions of this License. RESTRICTIONS: – You may use this software product as long as: The software serial number and user must be registered with 3D ICC in order to receive support or distribution rights. You may not remove any proprietary notices, labels, trademarks on the software or documentation. You may not modify, de-compile, disassemble, reverse engineer, create derivative works of, translate or otherwise seek to derive the source code of the software. US GOVERNMENT RESTRICTED RIGHTS – Use, duplication or disclosure by the United States Government is subject to restrictions as set forth under DFARS252.227-7013 or in FARS 52.227-19 Commercial COMPUTER SOFTWARE – RESTRICTED RIGHTS. You are responsible for compliance with all applicable export or re-export control laws and regulations if you export this software product. TERM – You may use this software product in accordance with this License for the term of the licensing agreement, provided you are not in breach of any of the terms and conditions of this License. You may terminate your License at anytime by destroying all copies of this software product and product documentation. Without prejudice to any other rights of 3D ICC, this License will also terminate automatically if you fail to comply with any term or condition in this License or the licensing agreement. LIMITED WARRANTY – EXCEPT AS SPECIFICALLY SET FORTH IN THIS LICENSE AND LICENSING AGREEMENT AND, TO THE MAXIMUM EXTENT PERMITTED BY APPLICABLE LAW, THE SOFTWARE AND DOCUMENTATION IS BEING PROVIDED ‘AS IS’ AND 3D ICC SPECIFICALLY DISCLAIMS ANY AND ALL OTHER WARRANTIES, EXPRESS OR IMPLIED, WITH RESPECT TO THE SOFTWARE OR DOCUMENTATION, INCLUDING BUT NOT LIMITED TO IMPLIED WARRANTIES OF MERCHANTABILITY AND FITNESS FOR A PARTICULAR PURPOSE OR USE OR AGAINST INFRINGEMENT. WITHOUT LIMITING THE FOREGOING, 3D ICC MAKES NO WARRANTY (I) THAT THE OPERATION OF THE SOFTWARE IS OR WILL BE ACCURATE OR ERROR-FREE; (II) THAT THE SOFTWARE MEETS OR WILL MEET YOUR REQUIREMENTS; OR (III) THAT DEFECTS IN THE SOFTWARE WILL BE CORRECTED. LIMITATION OF LIABILITY. NOTWITHSTANDING ANYTHING CONTAINED IN THIS LICENSE TO THE CONTRARY, AND TO THE MAXIMUM EXTENT PERMITTED BY APPLICABLE LAW, IN NO EVENT SHALL 3D ICC BE LIABLE FOR INCIDENTAL, CONSEQUENTIAL, INDIRECT, EXEMPLARY, OR SPECIAL DAMAGES, OR ANY DAMAGES RELATED TO THE LOSS OF USE, DATA BUSINESS OR PROFITS, GOODWILL, OR ANY AND ALL OTHER COMMERCIAL DAMAGES OR LOSSES, EVEN IF 3D ICC HAS BEEN ADVISED OF THE POSSIBILITY OF SUCH DAMAGES ARISING FROM THIS AGREEMENT, THE USE OF THE SOFTWARE OR DOCUMENTATION, OR ARISING FROM ANY CLAIM BASED ON CONTRACT, TORT, NEGLIGENCE OR OTHER LEGAL THEORY BY LICENSEE OR ANY THIRD PARTY. 3D ICC’S TOTAL LIABILITY TO LICENSEE AND LICENSEES EXCLUSIVE REMEDY UNDER THIS AGREEMENT FOR DAMAGES, COSTS, AND EXPENSES, REGARDLESS OF CAUSE, SHALL NOT EXCEED THE TOTAL AMOUNT OF FEES PAID TO 3D ICC BY LICENSEE FOR THE SOFTWARE. INDEMNIFICATION. You will indemnify, defend and hold harmless 3D ICC, its affiliates and their respective officers, directors and employees from and against any liabilities, losses and reasonable costs and expenses (including reasonable attorney’s fees) arising out of any claims or suits by any third party connected with or resulting from any use of the software product. GENERAL. This License constitutes the entire agreement and understanding between you and 3D ICC relating to this software product. This License may only be modified by a written agreement signed by 3D ICC. It is expressly agreed that the validity, performance and construction of this License and all claims arising directly or indirectly hereunder shall be governed by the internal laws of the State of Delaware, without regard to its principles regarding conflicts of laws. The state and federal courts in Massachusetts shall have exclusive venue and jurisdiction for such disputes, and the parties hereto submit to personal jurisdiction in such courts.